Mom and Dad, you are officially busted. But first, thanks for entertaining Henry over the weekend so I could nurse my cold and Jeremy, Reese and I could do some serious cleaning for about 4 hours. This *Henry* that you dropped off insisted, on his own, that he take a nap. This *Henry* also napped for a total of four hours. Four hours! That's huge. Also, when he woke up, he was all snuggley and polite. He asked if he could please go on a four wheeler ride. 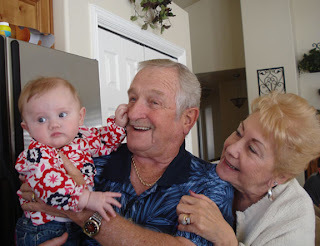 When told that he could indeed go, but had to wait until Reesie finished her bottle, he patiently waited for her to finish. 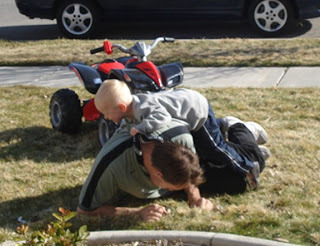 And when he finished his four wheeler ride *Henry* came in the house with no objections. What? *Henry* also ate all of his dinner, which was a delicious bean soup/stew by the way. He said "thank you" twice while eating. When offered a brownie for desert, this *Henry* only ate half and offered the rest to his Dad. While we are getting used to the ease and politeness of this replacement *Henry*, we dearly miss our sometimes cross, always loud and finicky eater son. Please bring him back to us. But for now, it's the end of a long weekend and this *Henry* has been easier to get to go to sleep, so there's no hurry on our end for a swap. **UPDATE: Turns out the Henry we have is not an imposter after all. Just as I was typing this he came up to me and asked me if I liked seafood. I answered that, yes, in fact, I did like seafood. Henry then opened his mouth and showed me the rest of the brownie he was in the middle of chewing. Sorry, my bad, Mom and Dad. When I'm not around perhaps because I'm working, cleaning (hardly ever) or running errands (endlessly), some strange and wonderful things happen. 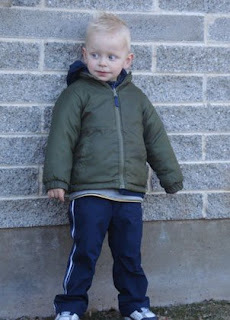 Lately, Henry complains when I drop him off at school. He insists that he wants Dad to do it. This has made me sad. 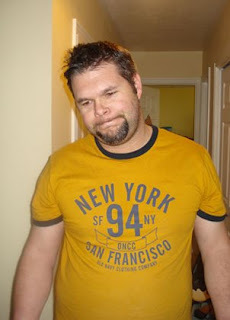 The other day I was downloading some photos from Jeremy's phone and I came across these. 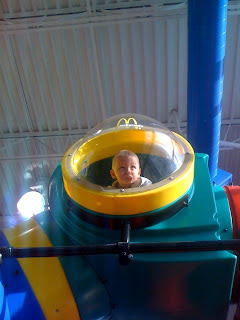 I immediately recognized that these had been taken at a McDonalds. Puzzled, I wondered when and why didn't I remember these. 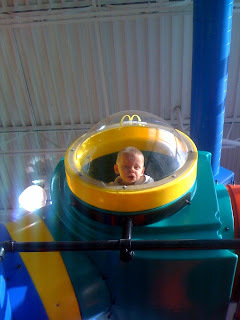 Also, Henry is usually terrified of the play equipment at McDonalds because aggressive kids play there. So I asked Jeremy about these and he told me that a few weeks back he took Henry to McDonalds for breakfast before school. Ah. Jeremy is clearly one upping me at the school drop offs. Sometimes you are busy upstairs and when you finish you think, "Hey, why don't I go downstairs now that I'm finished with all my busy-ness." So you head downstairs and you come across your husband watching television with your daughter. I casually asked, "Whatcha guys doing?" Here's what I thought I might hear: "Nothing. Just watching television." 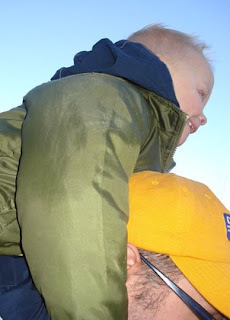 Here's what I wasn't prepared to hear: "Reese and I were just watching a beaver trapping blooper show. It wasn't very good. 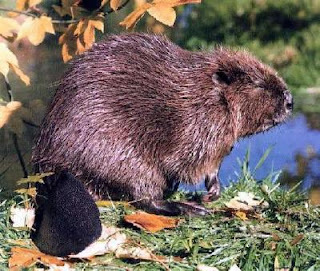 I had no idea that beavers could do so much damage to hard wood floors." I think I just stood there in silence trying to process all the information. Why was he watching a beaver trapping show? There are beaver trapping shows? They have blooper reels? Why would anyone let a beaver on their hard wood floors? Jeremy assured me that he and Reese just came across it by accident and that no one let a beaver on a hard wood floor. I had misheard him. He said "hard wood forests". Ah. That makes it totally normal. Sometimes you open the door to your storage room in the basement and you find a giant mess. You've been telling yourself, your spouse and others that you need to clean the storage room out, but you just haven't done it yet. Sometimes you spouse comes to you and says, "Jen, we really need to clean the storage room." So Saturday, Jeremy, Reese and I embarked upon a fast and furious clean out of our storage room. Henry wasn't here, so he got off easy. What the three of us would find this day would shock, sadden, disgust, amaze and amuse us. 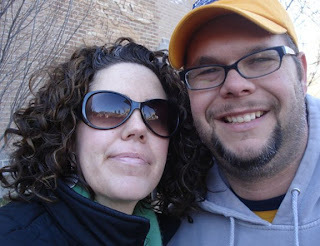 By the way, if you're thinking to yourself, "Jen surely can't be so desperate for blogging material that she's actually going to write about cleaning." Before you judge me, you should be aware that if you proceed with me into my tale of junk boxes and found treasures, that you are actually the one reading about someone else's cleaning. Who's sad now? Here's how it went down. We all had assignments. 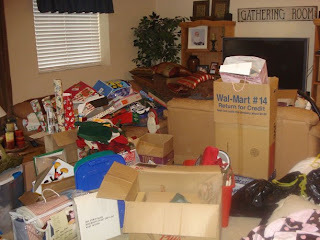 It was my job to help retrieve items from storage as well as to sort items into keep, donate or trash piles. In short, I was The Decider. Jeremy's assignment was unfortunately the least appealing. He did most of the retrieving, hauling and packing items. 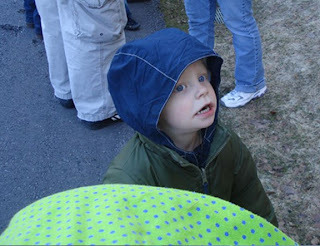 However, he was excited to go to the dump at the end of the day. He seriously loves it, even if he won't admit it. Reesie's job was to supervise and look cute. See what a good job she did. 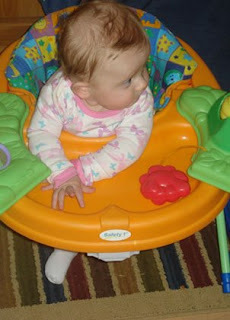 Here she is looking at our junk. Here's Reesie judging us for having so much junk. 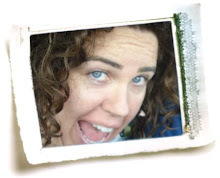 I was so excited to find some fun things that I had forgotten about. 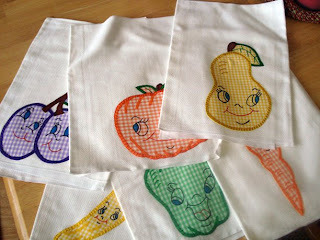 Look at these cool dishtowels that either my Aunt of Grandma made for me so long ago. Thanks Grandma or Aunt! The kids will love these. 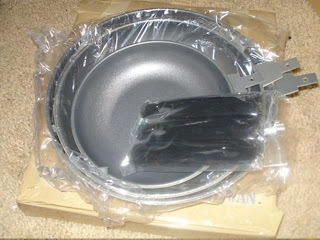 We also found these pans that have removable handles. These will be great for camping. Also, more kitchen stuffs. 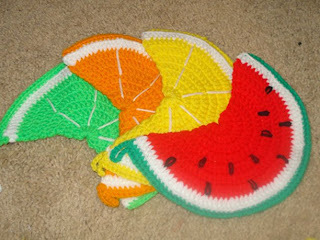 These fruit oven mitts are fun! I'm so glad I held onto them for 20 years. These are totally cool now. At this time you might be thinking that this can't be getting any better. Well, you're wrong, cause it did. I opened the box and let out several small squeals of delight. I found the most awesome stuff. I didn't comb through everything, but I found a few treasures and I can't believe I had forgotten about from my youth. First, I found this high school notebook with eraser art on the front. I did this to all my notebooks. P.S. 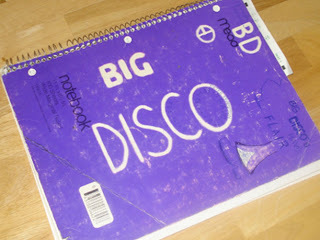 I still loves me some disco. 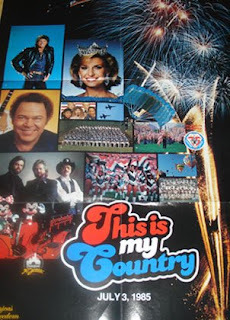 Next I found a program for the Freedom Festival circa summer 1985. Wow. I think I performed in this when I was dancing. Look at the star studded line up they booked that year. Utah's Own Sharlene Wells, a former Miss America, The Osmonds, The Hoff and some guy from Hee-Haw! Don't think that I didn't get to "hassle The Hoff" and his Knight Rider Car, Kit at the Freedom Festival "85, cause I totally did. Our dance group did some cheesy number where we danced around the car. I remember meeting The Hoff and thinking he was a big idiot back then. He warned us to keep our hands off of the car because it would get fingerprints all over it. My friend Kari and I totally touched it a bunch of times just because. Take that, Hoff. 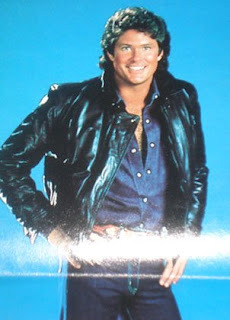 Here's The Hoff before he tried to eat hamburgers while drunk and bloated. 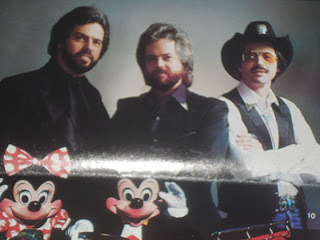 Here are the lesser-known Osmonds that were at the show. Apparently at the time, Donny and Marie and all their teeth were too big of stars to come celebrate their freedom with us. Also found? 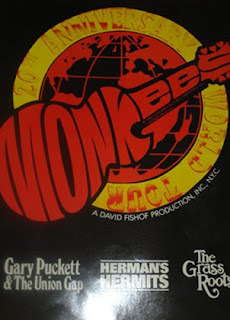 A Program from a Monkees Concert at Lagoon from 1988. 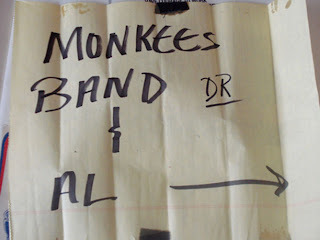 For those of you that don't know, I had a serious addiction to The Monkees growing up. I had all of their albums on tape! Me and my friends Kari, Lisa and Alisa all picked our favorite Monkee and then stalked them on television. We went to a concert at Lagoon and I took my stalking to another level. I totally stole this sign from their trailer. In hindsight, they might have not been such a big deal in the mid-80s. They were all sharing one trailer and it was marked with yellow legal notebook paper. Hmm. No worries. 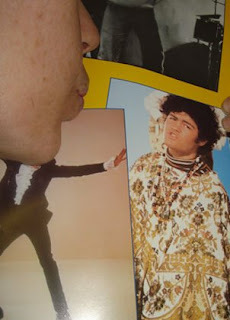 I still have kind of a crush on Mickey Dolenz. Here's me kissing his picture when I found my program in my memory box. So right now, the only person that is still remotely interested in this post is Julee. All you others, thanks for reading on. Next I found a certificate the shows that I am loved and that I am beautiful. 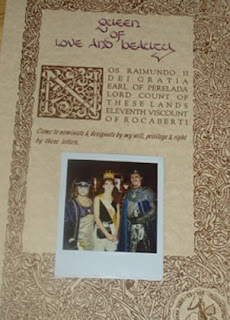 I was selected out of a crowd of people to be the Queen of Love and Beauty at Midievil Times in L.A. in 1990. Here's me and the King and Queen of the event. If the King already had a Queen why did they need me? It was about this time when I looked over at Jeremy and noticed a sad look on his face. I asked him what was the matter and he told me that he was sad because he had no memories to find in a box anywhere. Where had they gone? Here's Jeremy sad about having no memories. 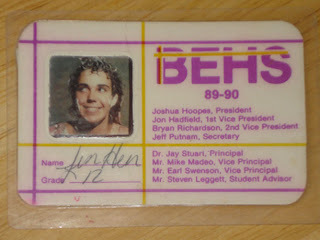 Next, we found my old Student ID card from my Senior year in high school. My picture is a bit odd. I was being initiated into Rockettes (dance team) and they had hosed me down and put shaving cream all over me. My Mom was horrified when she saw my ID picture. She told me that one day I would look back at it and be sorry. I am sorry, Mom. I'm sorry you were wrong. I totally still think it's funny. Jeremy found this piece of memorabilia and asked me to explain. I had totally forgotten about this. During my Junior year in Seminary Class in high school my teacher had a mock awards program. 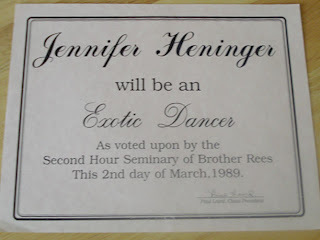 In Seminary Class (LDS religious class) I received the "Most Likely to Become an Exotic Dancer" award. Whah? I think it was a play on that I was on the dance team in high school, but I can't be sure. Were my peers trying to tell me something? Here's my favorite memory I found that day. These are letters from my Dad while I was in college. The yellow sticky note says Fall Semester 1991. That's a lot of letters you guys! Aww. I love my Dad. 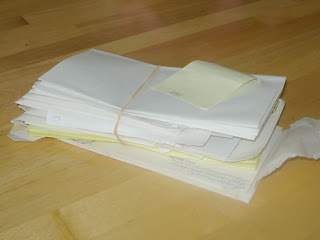 I kept every letter and card he and my Mom sent to me. Thanks guys. At the bottom of the pile, I found this piece of memory. It is actually a memory that Jeremy and I share. 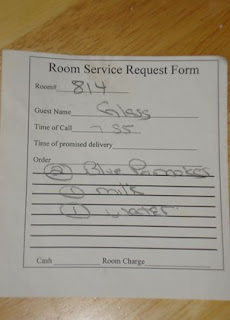 It is a room service slip from our hotel in San Francisco while we were on our honeymoon in 2000. Aww. Love. 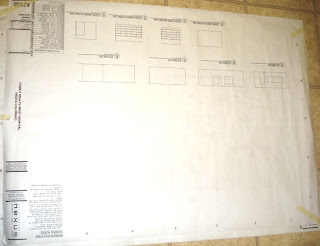 The Artist (Henry) starts his creation with his preferred canvas, scrap sheets 24x36 drawings from Daddy's past projects at work. Here, the Artist prepares for his upcoming commission by ridding himself of restrictive clothing as it hampers his creative energy. 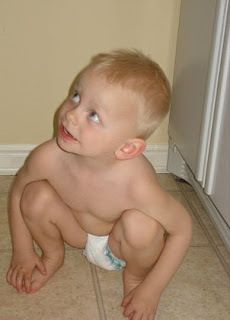 Next, he engages in a ritualistic series of stretches and crouches to get momentum flowing through his body. Let the art show begin. 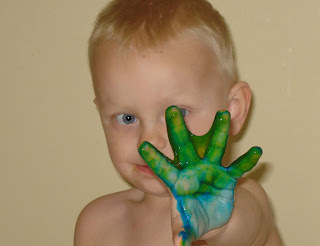 The Artist opts for the lesser-known "hand painting" technique as opposed to the much over celebrated "finger painting" one. 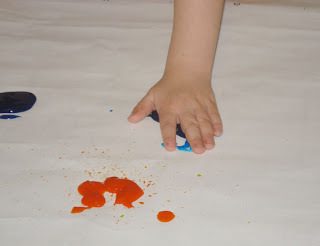 There was a time the Artist only worked in finger paints, but he's since moved on to what will some day be known as the "hand phase" of his brilliant career. Notice the skilled application of palm-on-paper movements. This can take up to minutes to master. 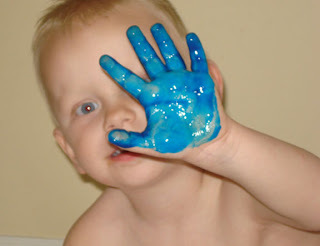 The Artist takes a short break to put on a mini live performance art piece titled Look How My Hand is Blue, Mom. As a mother and also a lover of art, I have never seen anything quite this inspired. Never content, the Artist now demonstrates a stunning amount of control and skill with his color palette as he now shows me It's Green Too. Truly, there are no words. 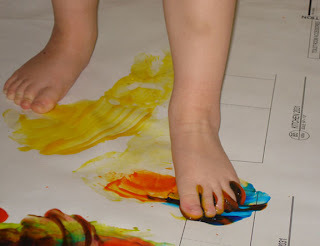 Always the pioneer, the Artist now puts down his claim in the lesser recognized world of foot painting. Notice the broad strokes in yellow his right foot makes as if to say, yellow stands alone. The Artist delicately captures the solitary loneliness of yellow. The left foot demonstrates the beauty of cooperation in color, symbolizing the Artist's views on society's multi-cultural diversity and unity. Together these stark differences both in color and direction compliment the free forms the Artist has created. It was around this point that the Artist turned to me an expressed his sorrow in having to confine his creativity to the paper canvas. 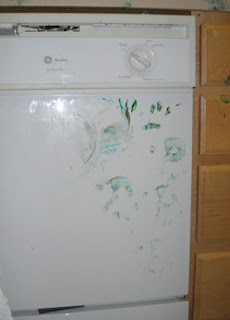 His little hands reached out without asking permission and he began his work on the dishwasher. Puzzled, I continued to observe him. What was the Artist trying to say? Was this his commentary on a dislike of traditional roles within the household? Was he simply looking to find his favorite drinking cup? One can never be sure. The Artist's mind is a mystery. Here's the final piece. The Artist called this We're Out of Orange. 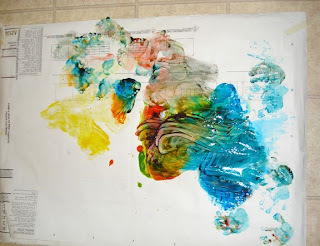 I asked the Artist what he felt as he created a piece with so much movement, so much emotion, so much messiness. The Artist looked at me, shrugged then said, "I done." Indeed his is. So many of you might know that Reesie has a very mild form of Torticolis. A condition of limited neck motion. 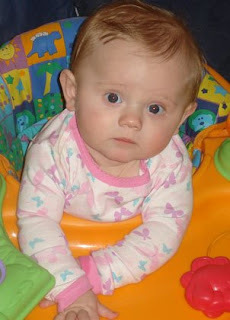 Reesie favors her left side, but she has Torticolis Right, meaning her right neck muscles need to lengthen and stretch. 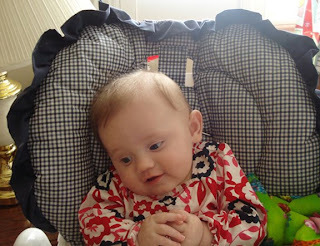 If you notice in some pictures of Reese when she is sitting upright and resting she tends to hold her head a little cocked to the right with her chin pointing to the left. 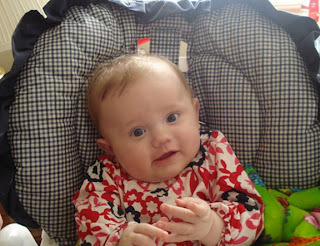 Jeremy, her Pediatrician and I have been working with her for a about a month and we've made great strides. She's getting stronger every day. Tuesday we had her first physical therapy appointment and she did so well! She lasted the entire 1 hour session. Apparently most children her age don't make it past 40 minutes. 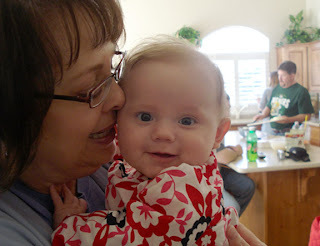 She has a very mild case and her mobility is looking good. We will go back next week for her second appointment. 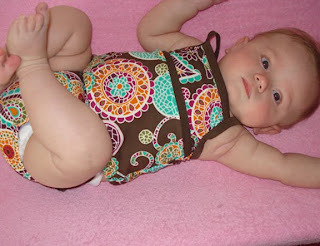 Basically they run Reesie through lots of stretches and floor exercises. I'll try to get a picture of the area where Reese "works out". It's vibrant and so colorful. She really liked it this week. We set goals for Reesie to round out the back of her head a little bit, to increase strength and mobility in her neck, and to create some little abs of steel for her so she can be a little more stronger. Wednesday, Reesie and I were doing some core strengthening exercises when an unexpected visitor stopped by. Reesie was way excited to have a playmate. Here's Reesie just holding onto Meesha. Meesha was a good sport and let Reesie pull out some fur. Reesie thought Meesha was so soft. I used Meesha as a prop to get Reesie to really use those neck muscles. 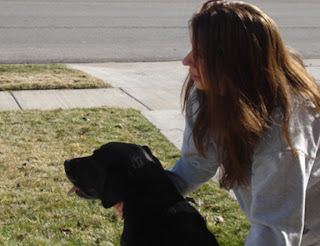 Reesie made a friend for life. 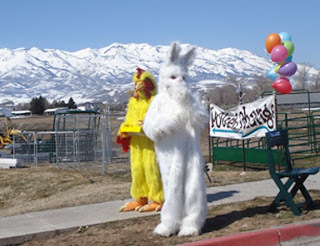 Oh, Easter. Why did you come so early? We're still reeling from St. Patrick's Day. 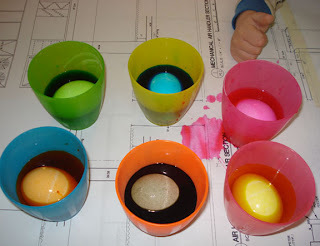 We did Eastery things with 2 dozen eggs, a handful of cups and some dye. The Easter Bunny found Henry and Reese. Henry and Paul engaged in the Eastery tradition (3rd year in a row!) 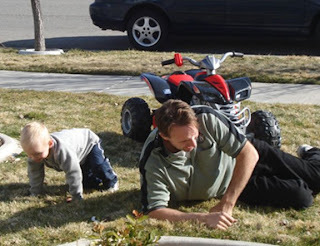 of demonstrating feats of strength on our front lawn. This year Henry challenged Paul to a wrestling match. Henry totally won, but Paul claims some cheap shots were used. I say Paul is just a sore looser. Later, Henry took some time to have serious thoughts about Easter. But then she thought better of it. 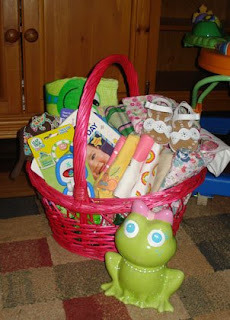 A new Eastery tradition started this year. 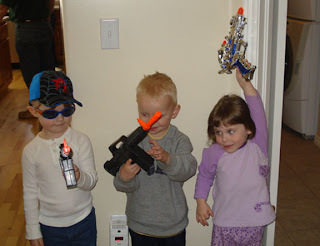 Guns! Dinosaurs are Eastery Too. Aren't They? 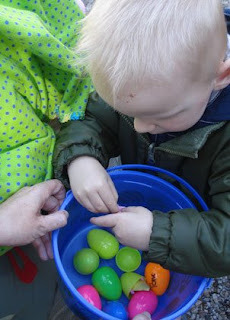 On Saturday, or as we like to call it, "Eastery Eve", we headed up to the Eccles Dinosaur Park for Eastery fun. Also, Henry's body is finely tuned to know if he hasn't been to the park in over three weeks. It's weird, but he seriously knows if too much time has gone by and he begins to become slightly unruly unless he gets a dinosaur fix. Anyway, we went to the Dinosaur Park for their annual Easter Egg Hunt. We did it all wrong though. 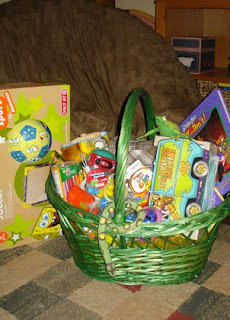 Our game plan was to arrive early and get a good position for all the egg hunting that Henry would be doing. 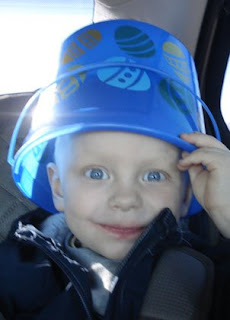 Here's what Henry looked like in the car on the way to the Eastery Egg Hunt. By getting to the park so early, we definitely secured a good place in line, but we also had to wait for quite a while for the festivities to begin. This is what we looked like waiting in line. Henry waits by a wall. 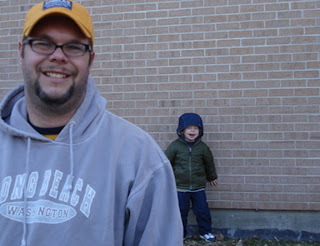 A teeny-tiny Henners and a giant Jeremy wait by a wall. 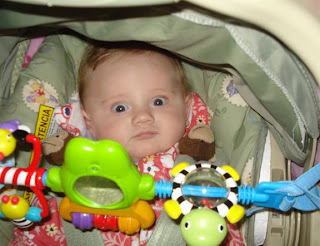 Reesie waits warmly in her stroller, but she looks surprised. Am I mistaken? Jeremy and I think we make waiting in line look awesome. 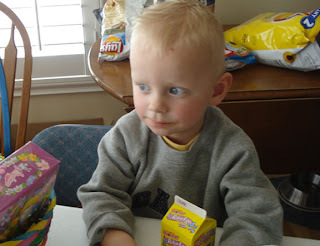 Here's what Henry looks like when he asks for the 6th time "Momma, when are we going to start?" Here's Henry's face when we finally got moving! 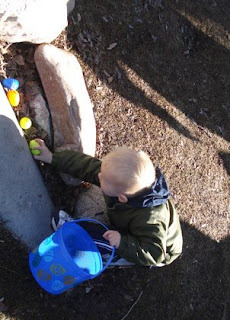 Henry found a sweet egg hiding spot and hit the jackpot of 10 eggs in one place. He didn't even have to run all over to find them. Jeremy was so proud. Here's what Henry looks like retrieving his eggs. 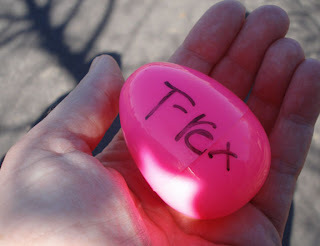 Henry said he didn't want the "lady colored eggs" and dedicated all the pink ones to Reesie. I asked him why he gave all the pink ones to her and he said because it was her favorite color and also the color of her room. 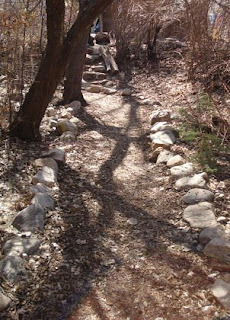 We hiked this hidden path into the museum before we left the park. 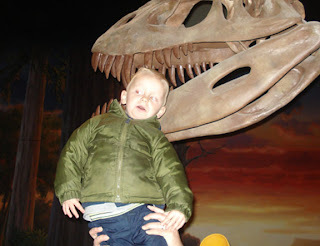 There, Henry's head was nearly eaten by a giant dinosaur. 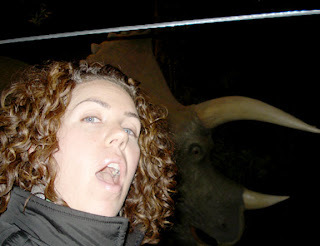 Henry wanted me to pose in front of the talking Triceratops. He was disappointed that the dinosaurs weren't talking this day. He asked me to make dinosaur sounds for him instead. 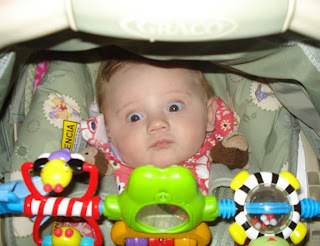 Just as I finished up, I saw a family of five come strolling around the corner to see what all the loud noises were. Henry immediately sold me out and pointed at me and said, "It's was Momma." Thanks for ratting me out, son.